Killer Instinct fans who have paid full price for all the DLC to date are probably a bit sore about this. Killer Instinct: Definitive Edition has popped up on a couple of retailers. Amazon UK, NewEgg and Gamestop all have listings for the physical re-release. Two of the listings carry a September 20 release date, and while Amazon and Newegg have little to say about the package, Gamestop is far more forthcoming. 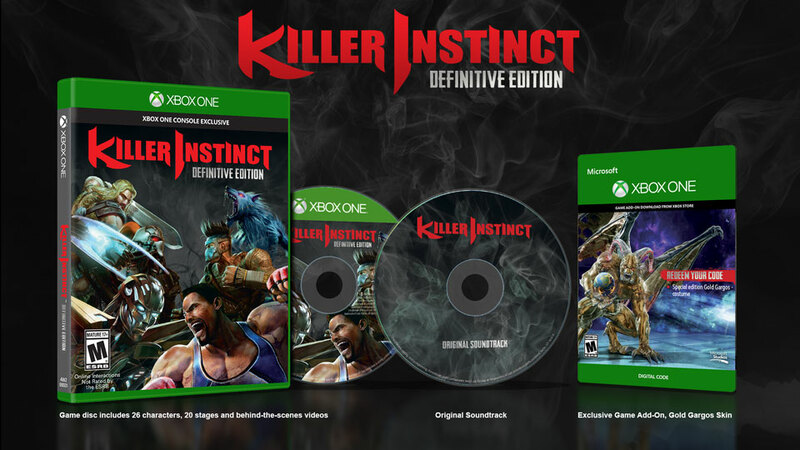 According to the retailer, Killer Instinct: Definitive Edition “includes all 26 characters and 20 stages from Seasons 1-3”. So, yeah: at $40, it’s a much cheaper way of collecting all the DLC than if you bought it as it came out. Not that we’re not all used to that by now, what with Game of the Year editions and what not; it’s the literal price we pay for not having to wait. The package has some extra goodies, too: Killer Instinct Classic 1 and 2, the Killer Instinct Original Soundtrack, and a bonus skin pack called Gold Gargos. Killer Instinct Season 3 is drawing to a close, and a recent survey suggests Killer Instinct Season 4 may introduce more guest characters from games like Crackdown and Perfect Dark. Update: here’s a trailer. It’s official.